On my recent trip to Shillong and Guwahati we had one off day, Sunday. And all four of us were rearing to go. So we hired a cab and off we went. The itinerary was almost completely decided my our well behaved and patient driver. He first took us to the Shillong View Point (where there was a lot of mist and hardly any view but I except these things now) and then we were on our way to Cherrapunji. He told us we would stop at the Elephant Falls. If you click on that link above it will take you to Tripadvisor where the opinion is quite divided on this attraction. I belong to the camp that thought the falls were beautiful. Some people mention that the water level was low when they visited. Not so in my case. 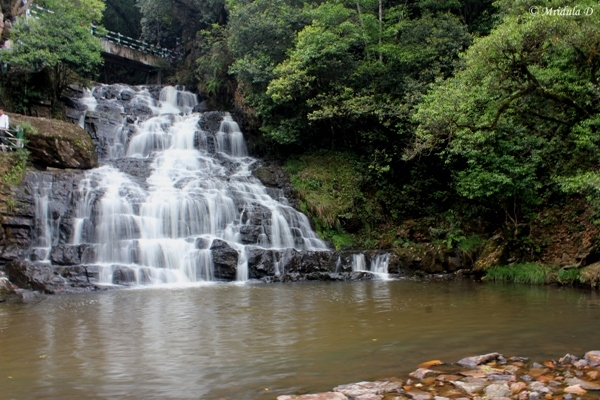 There are three waterfalls in all and the first one is the most spectacular. There was a reasonable crowd at the attraction but the place was still reasonably quite. 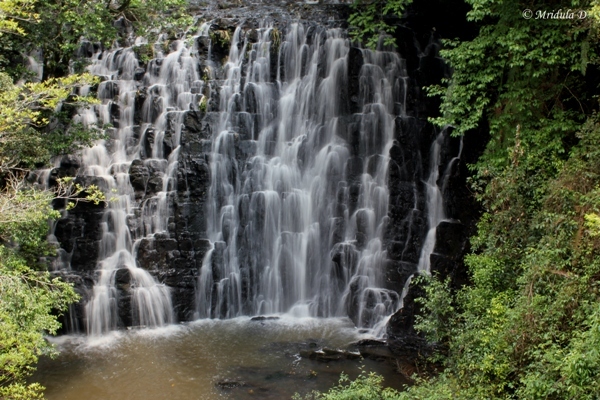 The waterfall has two parts and the complete picture is something like this. The trail is well marked. At the entrance there is a small fee for people as well as for cameras. I do not remember the exact amount but I am sure it was less than 40 rupees with the camera for an adult. There are notices all around urging the visitors not to enter the water or climb the rocks. People paid heed to them. 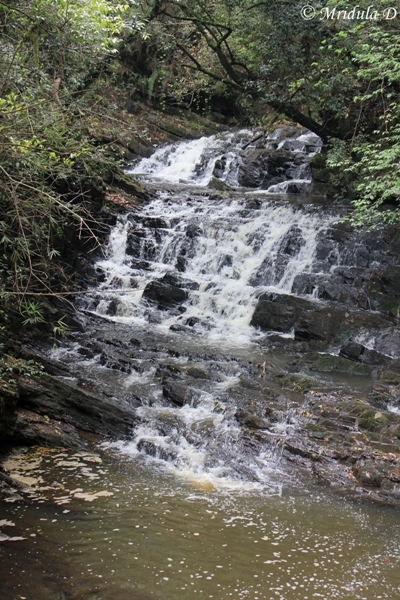 The second waterfall is the smallest of the three and hence it was the most neglected one! Everyone, myself included, would hurry past it. When I saw it I thought it was not the actual second waterfall, that might be below. So I too went past it quickly. 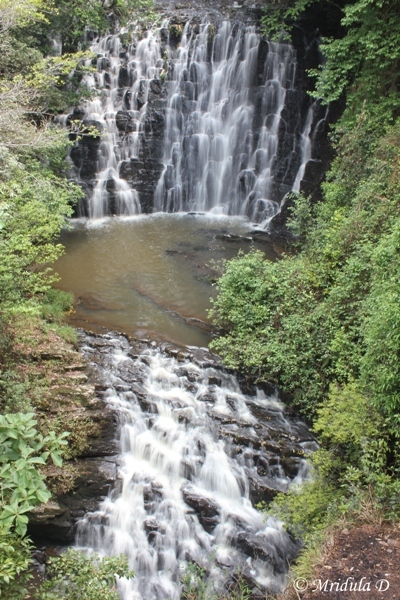 The third waterfall was also a beauty. This was the only waterfall where the pool was shallow and people would wade a little to get their pictures clicked. To reach the waterfalls a little walking is involved. That itself gave me an idea how fit I am for my trek to Annapurna Circuit, Nepal in June. I was not tired with this small walk but 5-6 hours of similar terrain and I can see from here what is going to happen to me later in June. So I will remember the waterfalls not only for their beauty but also for the warning they gave me about my fitness levels!